WE ARE ONE Media & Entertainment LLC has acquired the theatrical rights for entire GULF of Power Star Pawan Kalyan’s upcoming action entertainer, Sardaar Gabbar Singh . 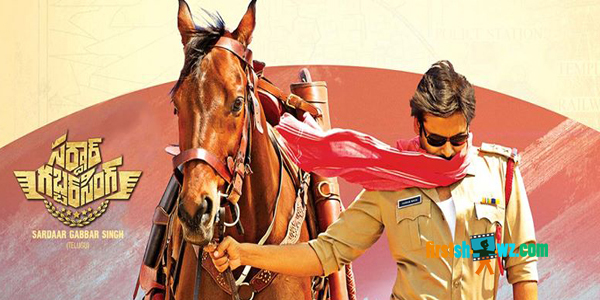 Sardaar Gabbar Singh is one of the most eagerly awaited Telugu films of 2016 and for good reason. Pawan Kalyan will be reprising the role of Gabbar Singh, a dashing and maverick cop who is posted to Rattanpur this time. The last time he played the role in Harish Shankar’s Gabbar Singh, back in 2012, the movie went on to become the biggest hit in the Star’s career back then. The film is readying to be a high-octane mass entertainer with an original story. Besides the fact that the last Pawan Kalyan Starrer was the History making Attarintiki Daredi, two and half years ago, in September 2013, is only making his fans and movie lovers rave in delight about the approaching release date. After Attarintiki Daredi, Pawan Kalyan has only appeared in Gopala Gopala (Jan’ 2015) in a very special role, as the God Himself!! Between Attarinkitiki Daredi and now, Power Star’s persona and magnetism have manifested in newer dimensions for the Telugu people as a concerned people’s man and a courageous crusader. For Sardaar Gabbar Singh, Devi Sri Prasad (DSP) is scoring the music and Arthur Wilson is the cinematographer. Kajal Aggarwal is teaming up with Pawan Kalyan for the first time in her career. The film also stars Raai Laxmi, Sharad Kelkar, Sanjjana, Mukesh Rishi, Brahmanandam, Brahmaji, Posani Krishna Murali and several other leading actors from Tollywood. The film’s first look poster and teaser, which was unveiled on the eve of Sankranthi, went viral on the internet and from the official YouTube channel alone, the teaser got close to 2 million views in less than 10 days. Directed by KS Ravindra (Bobby), the film, is being jointly produced by Sharrath Marar under North Star Entertainment Pvt. Ltd. and Eros International banner. The principal shooting of the film had begun in late 2015 and it’s slated for release later this Indian summer. With huge anticipation and positive buzz, Sardaar Gabbar Singh is all set to create a new benchmark in the Telugu Industry. For the Telugu audiences in overseas markets, Sardaar Gabbar Singh will be a veritable feast and an early summer for the GULF audiences. Keep watching this space for more details. Our sincere thanks to producers Sharath Marar Garu, Power star Pawan kalyan Garu,Vasu garu and Rajkumar garu from Idream media and EROS international for making WE ARE ONE MEDIA & ENTERTAINMENTS LLC as part of this venture. We are looking forward to release this movie in every corner of GULF and make every one a part of the release for new and old cinema centers. +971551679898.